Fruit Bats were formed in 1999 by guitarist, pianist and singer Eric Johnson, the band's main songwriter and only constant member. The folk rock band originated from Chicago, but is now based in Seattle. 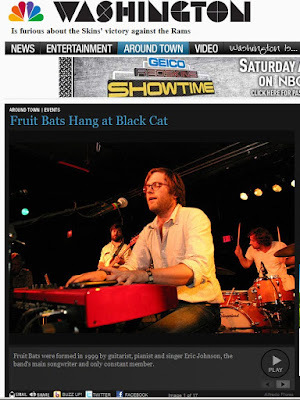 Originally part of short-lived Chicago group I Rowboat, Johnson and two of his fellow Rowboat members, guitarist Dan Strack and drummer Brian Belval, created Fruit Bats as a side project.